Alzheimers Disease, how your antiaging efforts can prevent it. Alzheimers disease has doubled in incidence of the last 25 years and shows no signs of abating. What are the causes of this devastating disease is there a cure for Alzheimers, or any way to prevent Alzheimers? Let’s take a look. This disease is characterized by progressive memory loss, and damage to the neurons of the brain. It is always progressive and fatal. It robs those who suffer from it of their memories and independence. As yet there is no known cure. It begins with memory lapses as the earliest symptoms. Alzheimers disease can span anywhere from three years to twenty years, as it progresses from no impairment to total breakdown of the brain’s processing capability. Some of the very latest research into this disease suggests that it may be another form of diabetes. If this is true, then it could possibly open up a new range of approaches to treat and prevent Alzheimers. The disease is caused by the buildup of two proteins called beta amyloid and tau in the brain. These proteins cause the destruction of neurons by which the brain processes information. Beta amyloid forms plaques, and tau forms tangles as it builds up inside the neurons. There is also a decline in levels of three key neurotransmitters, acetylcholine , seratonin, and norepinephrine. 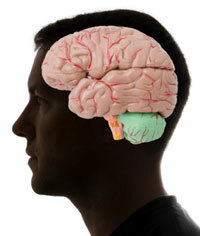 The most severely affected is acetylcholine, which causes the degeneration of the brains processing speed and memory. There are a number of risk factor associated with this diease. Some are out of your control, but other factors ARE under your control and you can take steps to prevent Alzheimers. Since there is at present no cure for Alzheimers, the treatment consists of addressing the symptoms, rather than attempting a cure. Drug treatment consists of various classes of medication. Alternative treatments can be very helpful when used themselves or in conjunction with medication. Here are some examples of natural substances, which may have beneficial effects and possibly help prevent Alzheimers. avoidance of eggs due to cholesterol concerns may have played a role in the deficiency of choline and acetylcholine. It is thought that this may be a causative factor in the disease, but this is not certain. Science is unlocking many of the mysteries of this affliction, and until a cure for Alzhemiers can be found, you should focus on ways to prevent Alzheimers by modifying the risk factors for that you can control. Your antiaging efforts are the best way to ensure that you will avoid becoming a victim of Alzheimers disease.